I don't know about you guys, but I'm thrilled to be swapping out Old Man Winter for the sweetness of spring. The warmer feel of the longer days reminds me summer is right around the corner. Have you been spring cleaning? I've done a good bit and should probably be doing some more. I said I was going to clean out one drawer a day during spring break, but that fell through. I'll have to add the drawers to my summer to-do list. I also like to declutter and lighten up in my home decor this time of year as well. Today I'm sharing a few easy and inexpensive ways to make your house feel and look like spring has sprung. 1. Add an unexpected pop of color with new pillows or add pillow covers to existing ones. 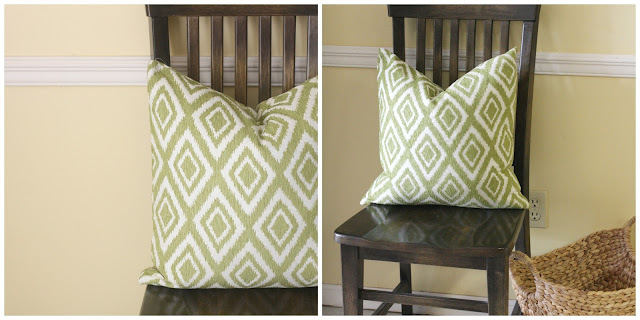 Here's a great pattern that comes in several spring colors from Hobby Lobby. 2. Change the color of dark frames with spray paint. My go-to white/off-white spray paint is Valspar's Churchill Hotel Vanilla. 3. 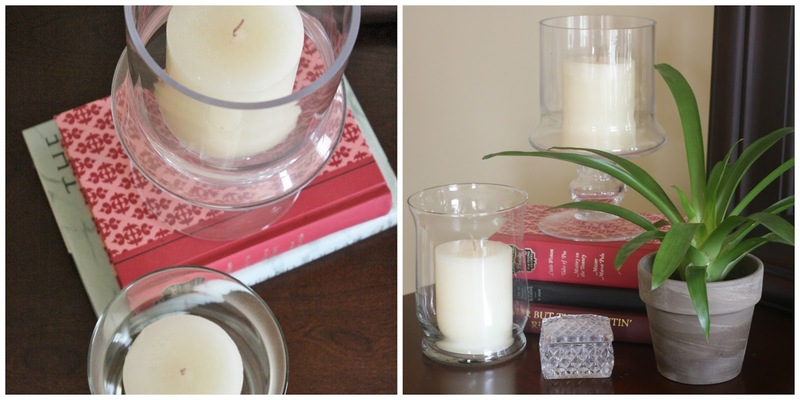 Put your wintry colored candles away until next year. Put lighter, brighter candles in their place. 4. 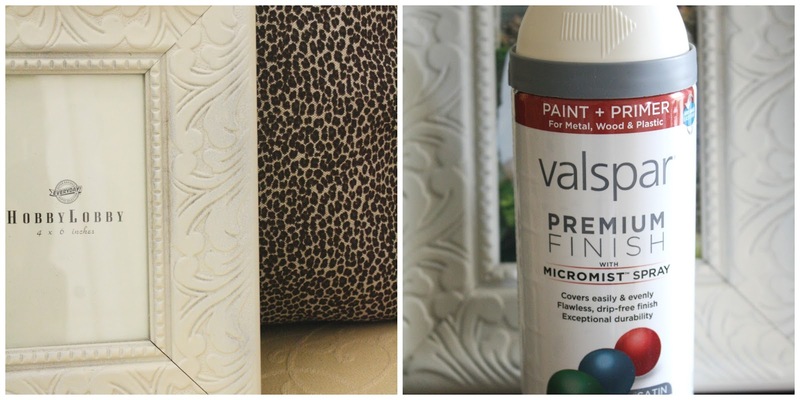 Shop your house and pull together similar items to create a spring vignette. Then, head out to your yard and cut fresh spring greenery to seal the deal. Do you like the look of blue and white? I've been collecting my blue and white for about twenty-five years. Some pieces are old, new, thrifted, gifted, hand-me-downs, and hand-me-overs. Here are some inspiration pieces if you're interested in starting or adding to your own blue and white collection. I hope you found an idea or two for adding a splash of spring to your surroundings. Let's hope the pollen doesn't make us all sick, so we can enjoy the spring season. Good ideas! I love the blue and white.